They have done a few other dive jobs on their way to the Bilikiki in the Solomon Islands. They worked in Utila, a small island off the coast of Honduras for 12 months teaching endless Openwater courses and overseeing a small backpackers hotel. 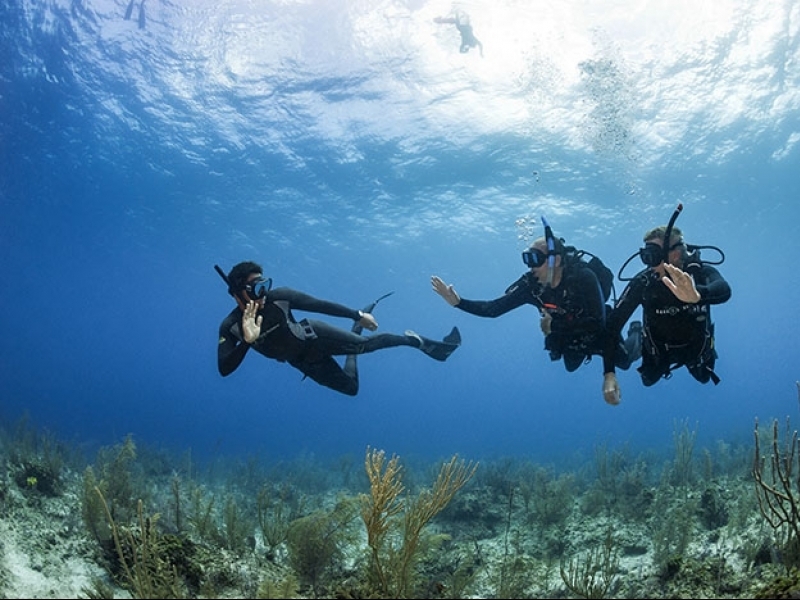 They spent three months teaching dive courses and working as dive guides in the Galapagos Islands. They also spent a year running an Ecolodge & dive operation in Vanuatu. They have all been amazing experiences, living in truly beautiful places, doing something they love. 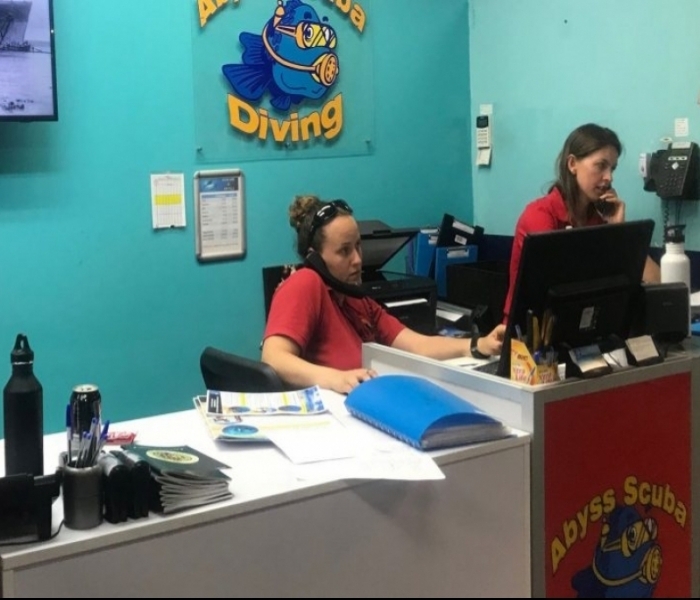 Currently Sam and Kellie have one of the best most sort after dive jobs in the world! They are the onboard managers on the MV Bilikiki which is a world class liveaboard in the Solomon Islands. They live full time on the 110foot boat, they manage a crew of 11 local Solomon Islanders who captain the boat, look after all the equipment, fill the tanks, clean the cabins and cook for the guest while Sam and Kellie dive with the guest and they make sure everything runs smoothly and the guest are having a good time and happy. Sam and Kellie take up to 20 guests at a time for trips of up to 7 nights to 14 nights. They get to meet many famous underwater photographers and personalities and tons of interesting people. Every day we dive pristine dive sites, famous sites such as Leru Cut, Mary Island and Devil Highway. Sam & Kellie sget to see an amazing variety of marine life from pelagics, with schools of mantas, tons of sharks, turtles, schooling jacks and barracudas to tiny macro life like pygmy seahorses, ghost pipefish, nudis, cuttlefish, octopus, crocodile fish, plus loads more, all in 29-30 degree water. Local islanders paddle out in their dugout canoes to sell me fresh fruit and veg almost everyday. Kellie visit villages where not much has changed in hundreds of years and everytime she step outside her cabin she is faced with the most amazingly clear blue water, palm trees and white sandy beaches. According to Kellie it honestly doesn’t get much better. As a subscript, Kellie and Sam have now bough the MV Bilikiki and have appointed managers on the boat. Kellie & Sam now live in Nelson Bay NSW and travel back to the Solomon Islands on a regular basis. We have have a trip on the MV Bilikki very soon. If you would like a life Kellie & Sam then come to our next Careers in Diving Seminar.